Nick Michael and Susan Page Orchestra started off the Friday evening performances. On Friday, several unique vehicles filled up the lower end of the parking lot for a cruise in. The Hopewell, a Marietta local band, has visited Meigs County to perform many times. Performer Aubree Riley with one of her youngest fans, Graecyn Eskew, for her Friday evening performance. Several local performers played their sets at the riverside amphitheater for the Kickin’ Summer Bash this past weekend. 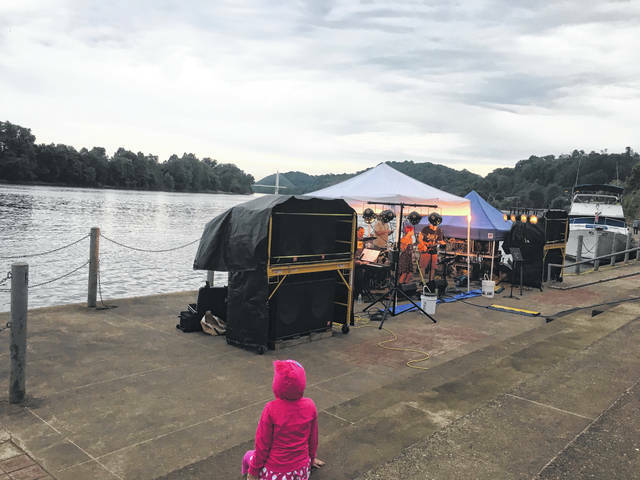 POMEROY — A summer filled with live, local musical events has officially begun in Meigs County. 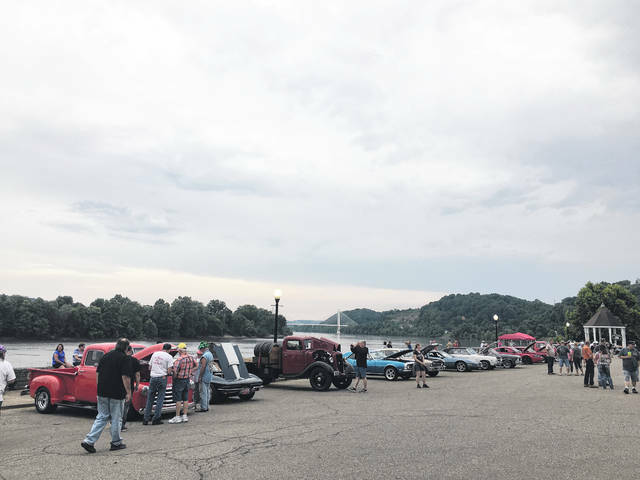 The Kickin’ Summer Bash was recently held providing Meigs County Residents with not only live, local musical performances, but also several other fun summer time activities. Nick Michael and Susan Page Orchestra who are a Meigs County local duo who have been performing together in various ensembles for close to two decades. The pair performs a variety of cover songs. The Hopewell which is a Marietta local Americana style band that is comprised of Traci Nichols, Justin Arthur, Jenny Phillips, Rusty Stewart, and Dean Johnson. The band plays new and old cover music and original songs. Aubree Riley who is a young performer who writes and plays her own original compositions. It is Riley and her guitar for her performances. The Renee Stewart Band which is a local band comprised of Renee Stewart, Phil Moon, Lyle Moon, and Dustin Nash. The band plays a variety of music including original compositions. Brent Patterson who is a local performer who performs a wide variety of music including the genres of contemporary folk, Americana, and acoustic root. Cradle & Grave who are a Marietta local husband and wife acoustic rock and folk duo. The pair performs cover and original songs. Ben Davis Jr. who is a performer of Americana style music, sometimes solo and sometimes with fellow musicians. Davis performs many original compositions and a few covers. Next Level which is a local band comprised of Jill Nelson, Barry Taylor, B.J. Kreseen, and Rich Rogers. The band performs a variety of cover music switching through musical genres. The Kickin’ Summer Bash offered several other activities throughout out the weekend such as a cruise in, an “anything that floats race,” a kids chalk drawing contest, a kids treasure hunt, a tribute to the truckers, a kickin’ summer showcase, a lighted boat parade, and various games for children provided by Meigs Inflatables. Concessions and vendors were set up on both Friday and Saturday and free goodies were given away all weekend during certain events. The festival gives back to the Meigs County community. 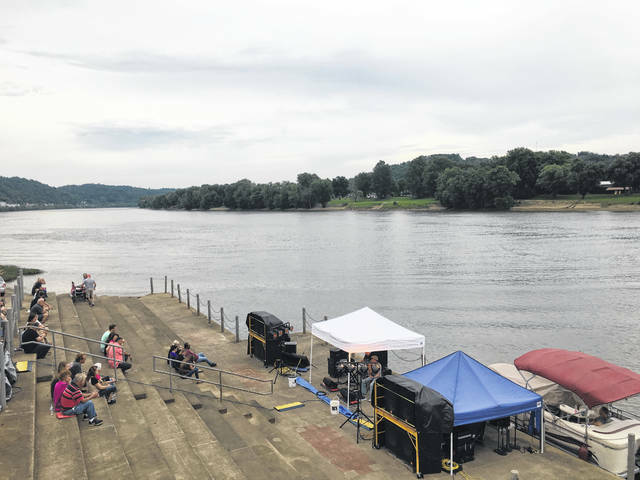 The Kickin’ Summer Bash annually kicks off the festival season, including musical events to be held along the Ohio River for the summer. Rhythm on the River will begin on Friday, June 22 at 8 p.m., continuing until Friday, July 20. Each Rhythm on the River will be held at the riverside amphitheater in downtown Pomeroy. Boys of the Hook will be the first set of performers. The band performs dance music and has an Irish flare. 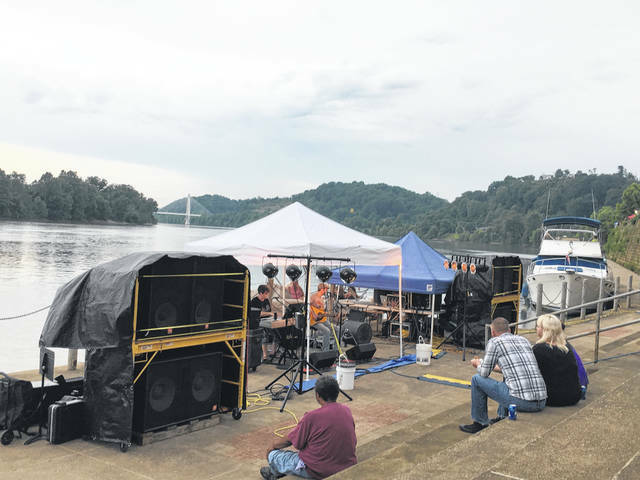 Following Rhythm on the River, the Big Bend Blues and Brews Bash will be held on Friday, July 27 and Saturday, July 28.
https://www.mydailysentinel.com/wp-content/uploads/sites/14/2018/06/web1_0612-1-.jpgNick Michael and Susan Page Orchestra started off the Friday evening performances. https://www.mydailysentinel.com/wp-content/uploads/sites/14/2018/06/web1_0612-2-.jpgOn Friday, several unique vehicles filled up the lower end of the parking lot for a cruise in. https://www.mydailysentinel.com/wp-content/uploads/sites/14/2018/06/web1_0612.Bash3_.jpgThe Hopewell, a Marietta local band, has visited Meigs County to perform many times. 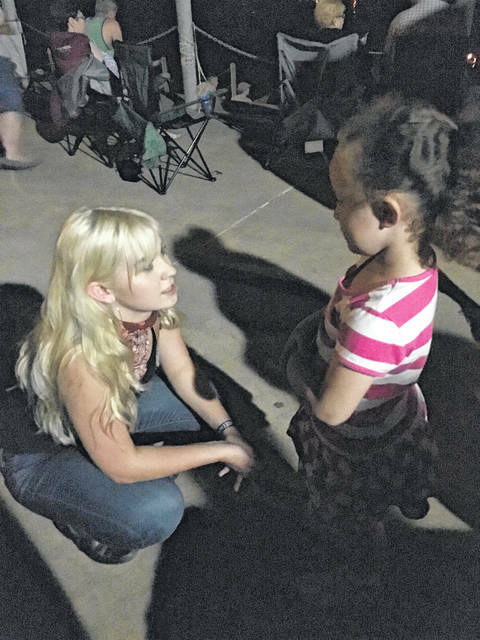 https://www.mydailysentinel.com/wp-content/uploads/sites/14/2018/06/web1_0612.Bash4_.jpgPerformer Aubree Riley with one of her youngest fans, Graecyn Eskew, for her Friday evening performance. https://www.mydailysentinel.com/wp-content/uploads/sites/14/2018/06/web1_0612.Bash5_.jpgSeveral local performers played their sets at the riverside amphitheater for the Kickin’ Summer Bash this past weekend.